Q :: Who can set profiler? A :: Any logged-in user can if they can see profiler settings on dashboard page sidebar menu and they can set profiler page. Q :: How to set profiler? A :: See profiler settings on dashboard page sidebar menu and see settings. The most important is “Profiler URL”, if profiler url is added then only profiler page will be created and display. Q :: How to change profiler URL? A :: On dashboard page sidebar menu >> SEO Settings >> set “Profiler URL”. Q :: How to set SEO for profiler page? A :: On dashboard page sidebar menu >> SEO Settings >> set ” SEO Title “, ” SEO Description ” and ” SEO Keywords “. Q :: How to set disable profile? A :: On dashboard page sidebar menu >> Basic Settings >> select “Disable Profile” and your profiler will never display on front-end website for any visitors. Q :: How to set Logo Text? 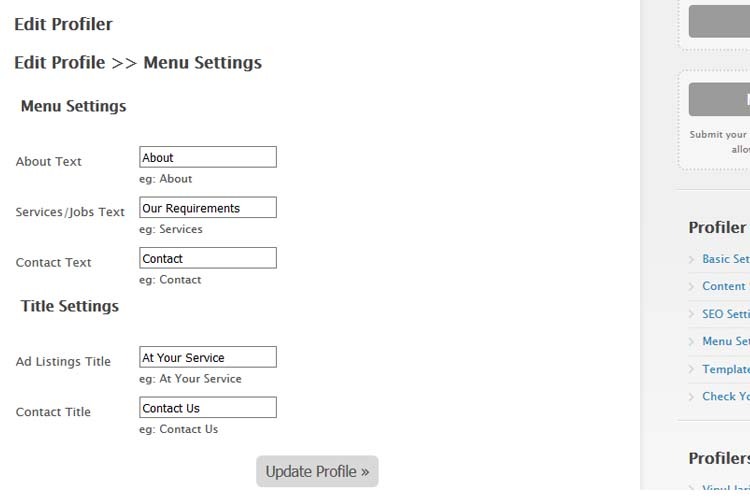 A :: On dashboard page sidebar menu >> Basic Settings >> set “Logo Text”. Q :: How to set Logo Image? A :: On dashboard page sidebar menu >> Basic Settings >> select and upload “Logo Image”. Q :: How to set Header Image? A :: On dashboard page sidebar menu >> Basic Settings >> select and upload “Header Image”. header image should be 1800px X 800px in width and height accordingly for better template settings. You may set smaller or bigger size also. There are multiple header images upload options and those images will display randomly if more than one image uploaded. Q :: How to set contact details like Email, Address and Phone? A :: On dashboard page sidebar menu >> Basic Settings >> Contact Details >> Email, Address and Phone. Q :: How to set social media settings? A :: On dashboard page sidebar menu >> Basic Settings >> Social >> Facebook ID, Twitter ID, Google+, Instagram, YouTube and Pinterest. 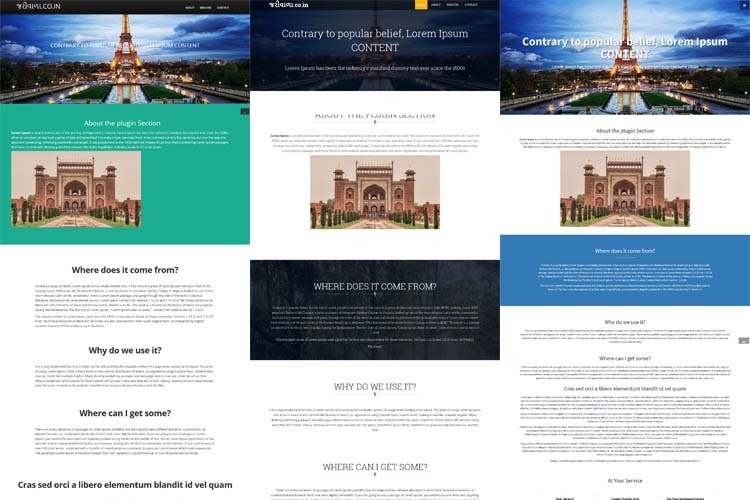 Q :: How to set welcome title and content? A :: On dashboard page sidebar menu >> Content Settings >> Welcome Text >> ” Title ” and ” Content “. Q :: How to set about title and content? Q :: How to set menu title? A :: On dashboard page sidebar menu >> Menu Settings >> Menu Settings >> ” About Text “, ” Services/Jobs Text ” and ” Contact Text “. Q :: How to set contact title on the page? A :: On dashboard page sidebar menu >> Menu Settings >> Title Settings >> ” Contact Title “. 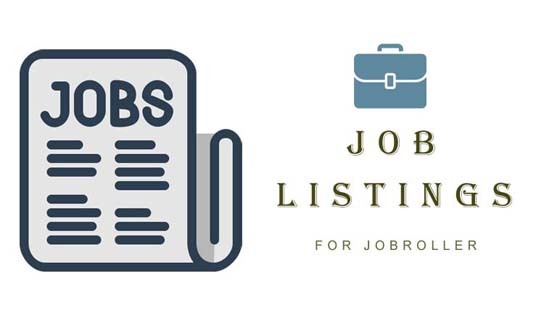 Q :: How to set jobs listing title on the page? 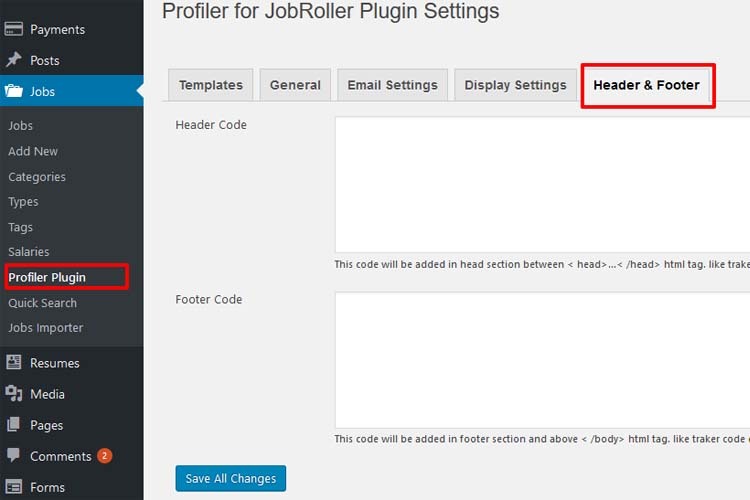 A :: On dashboard page sidebar menu >> Menu Settings >> Title Settings >> ” Job Listings Title “. Q :: How to select profiler page design? 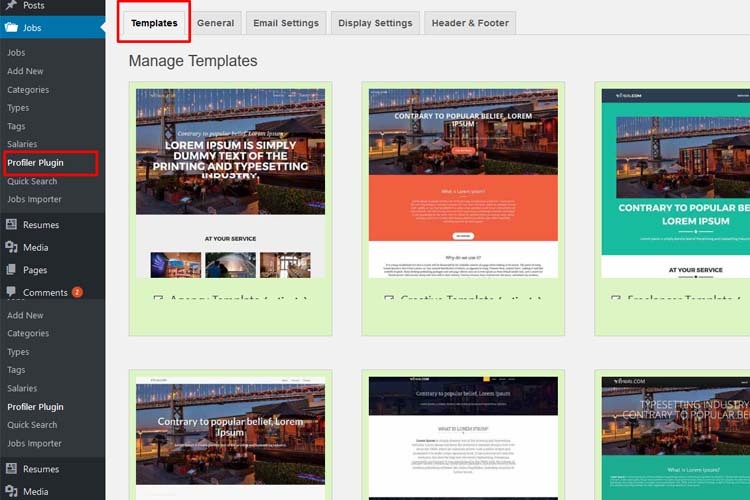 A :: On dashboard page sidebar menu >> Template Settings >> select your favorite template. Before select your template you may like to see the prview of your profiler page. Q :: What to do if profiler page on front end not display? A :: You should reset permalink from wp-admin >> Settings(left menu) >> Permalinks >> Permalink Settings >> press “Save Changes” button and it will reset profiler settings automatically. Q :: How to change profiler base url (which is company by default)? –> If you want to changed it or set you must reset permalink settings. –> How to set permalink settings ?? from :: wp-admin >> Settings(left menu) >> Permalinks >> Permalink Settings >> press “Save Changes” button and it will reset profiler settings automatically. Q :: How profiler cannot see manage profiler settings options? A :: On plugin settings there is access permission option and if profiler membership match with that settings, then only profiler can see and manage settings. Q :: Why cannot see edit profiler page while click on the link? A :: Make sure that “Edit Profiler” page is generated with page template — “Edit User Profile – CP Profiler”. 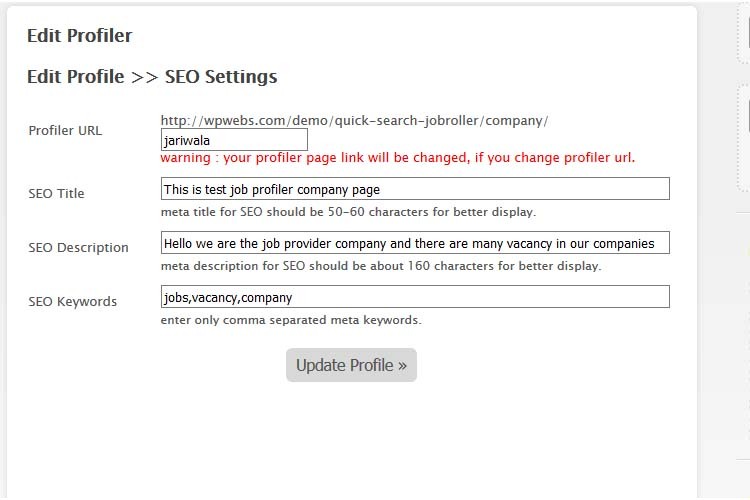 Check that from wp-admin >> Jobs(left menu) >> Profiler Plugin >> Plugin Settings >> General >> see the option “Edit Profile Page” — from where you can manage it. 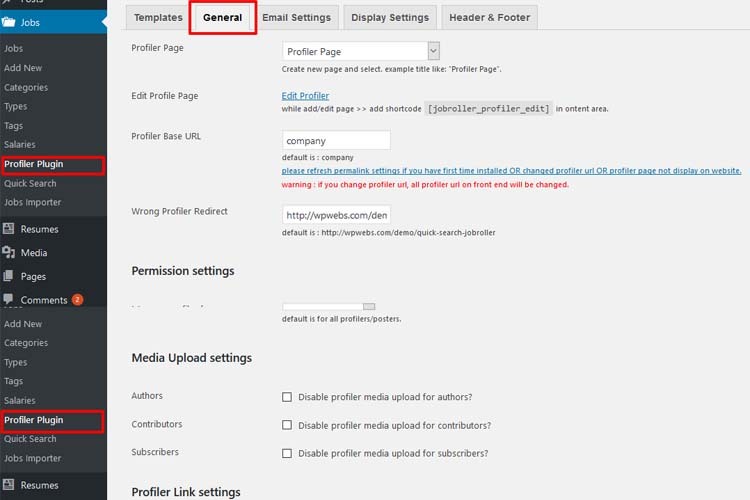 Q :: How to enable media upload if now display on profiler manage settings?? Q :: How to find last updated user profile? A :: Download below plugin and you can see modified date on wp-admin >> Users (left menu) >> Users list — which help you to get last updated profile. –> Manage Templates –> to enable templates for profiler plugin and set default. –> General Settings –> plugin settings like profiler template page, edit profile page, profiler URL, wrong profiler redirection settings, additional CSS……. 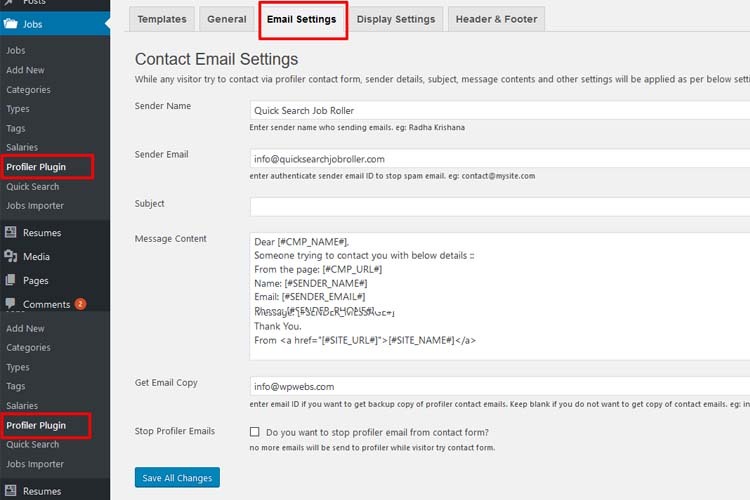 –> Email Settings –> Contact email sent from profiler page related settings like: Sender Name,Sender Email, Subject, Message Content ……. 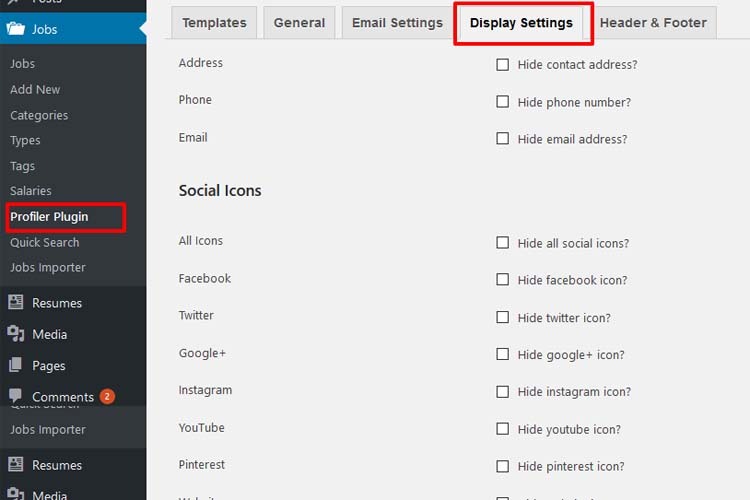 –> Display Settings –> manage content like address, phone, email address and social icon settings. Either show/hide. 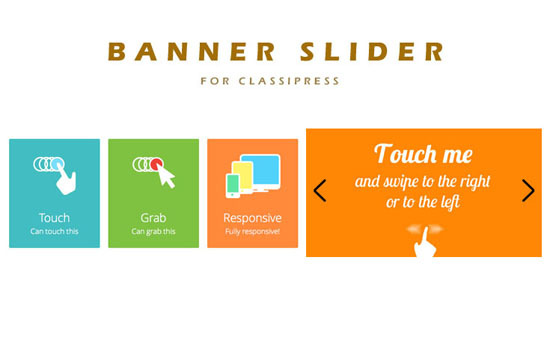 –> Header & Footer –> add tracking code or any script code or any thing in header and footer section. –> Reset permalink from wp-admin >> Settings(left menu) >> Permalinks >> Permalink Settings >> press “Save Changes” button and it will reset profiler settings automatically. 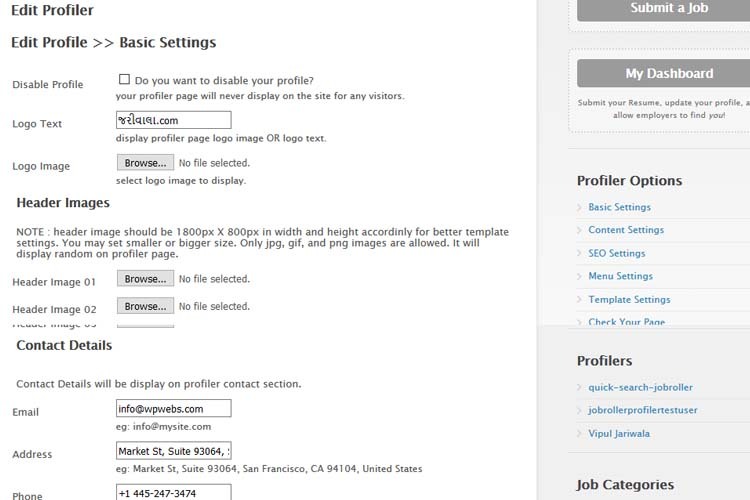 5) Create new page from wp-admin >> Pages >> Add New — Set title like : “Profiler Page”. 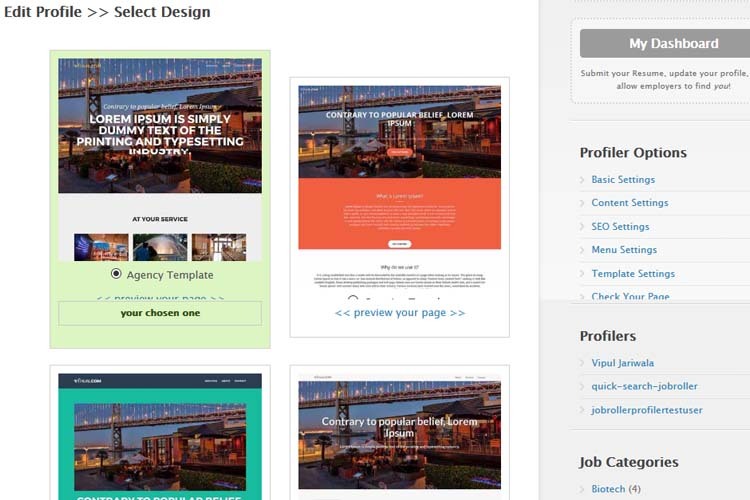 –> This page is for front end profiler web page display. 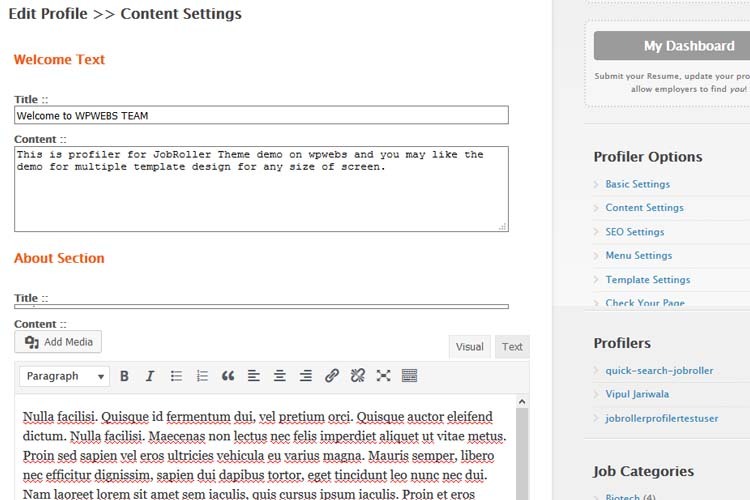 6) Create new page from wp-admin >> Pages >> Add New — Set title like : “Edit Profiler”. –> On add/edit page >> add short-code “[jobroller_profiler_edit]” in content section. –> Go to wp-admin >> Jobs(left menu) >> Profiler Plugin >> General >> see the option “Edit Profile Page” — from where you can manage it. –> This page allow front end login-ed in user to manage profiler data related setting. –> This page generated automatically while plugin activated. If not generated, you should create manually as per above. –> Set the user permission as per you want. –> Default allow to create profiler page for all users. –> This option will enable/disable the front end user’s edit profiler settings. –> First time profiler page generator user without any access permission, cannot create own profiler page. –> Because logged in user have to add profiler link to create own profiler page, without profiler page link no one can create profiler page. –> That means any user changed the permission after profiler page generated, they cannot manage profiler date but profiler page will be published with no future update profile data. 7) Read Usage, Notes & Developer Notes Carefully. Will this work with child themes..? Yes it is working for almost child theme, only problem may be to display profiler link button on job detail page in case of JobRoller action hook may not added for child theme single page. Otherwise there is no problem with child theme. In such case we just add original action hook of JobRoller theme in single page and it will work without any problem. How does charging for this work?. Can you charge each job lister per month / week to have page and post jobs on it?. 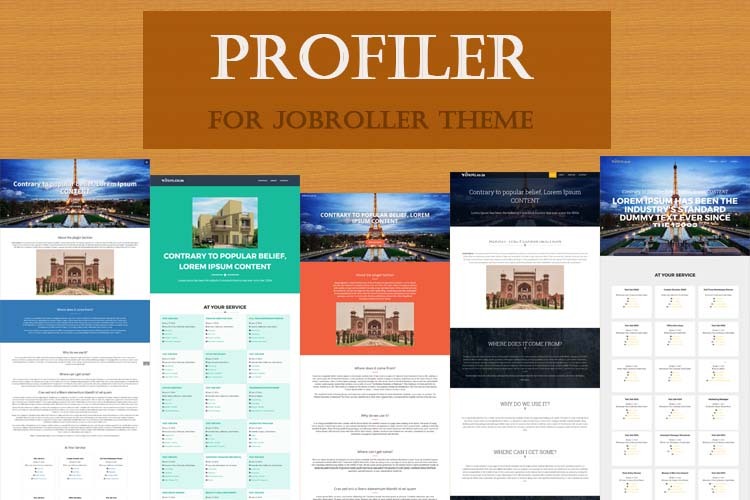 No this is the profiler page which is generated by job poster. There is no charge for that right now. By default it will generated for all job posters. Job company should login and manage it from manage profiler page of front end. You may see from demo site. 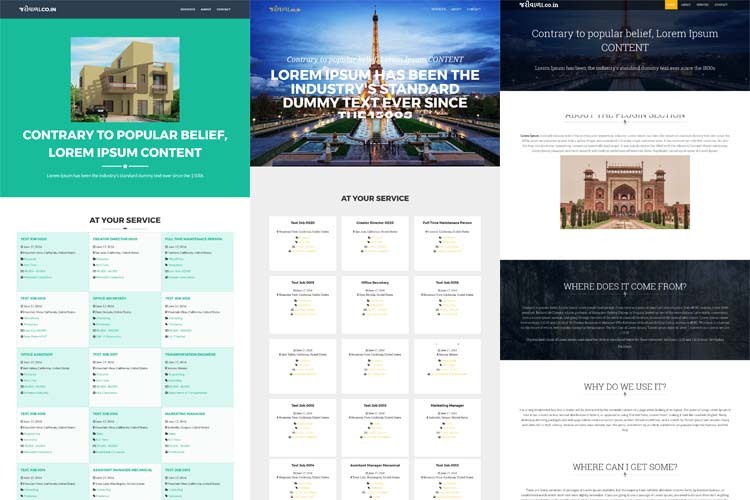 I was thinking you could charge higher amount for page hire for certain amount of time compared to job lister making many single listings totalling more. We can allow paid charge if there is membership facility for registration. Even if integrated with good membership plugin, it will very helpful. 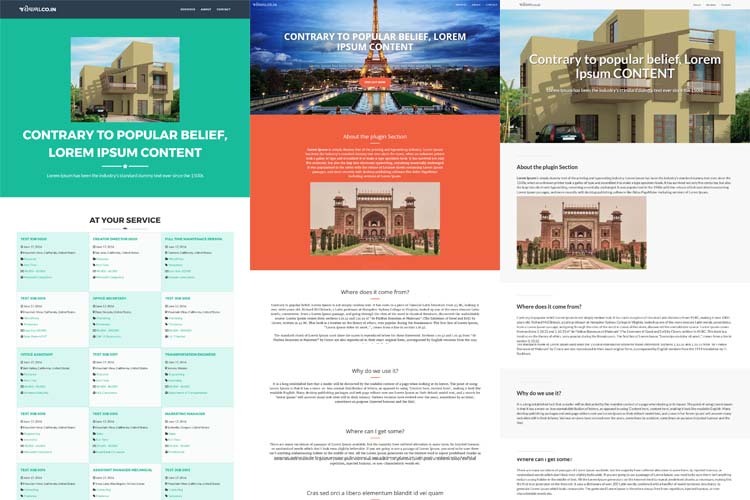 So We are searching good & free membership plugin which should work with this theme and so we can use it’s membership support and continue allow paid or free membership and related features. If you have idea/using good free membership plugin, you may give us idea to make it easy. I think it should be chargeable to have otherwise why have it if they can post on page for free? Let me know when you have a solution and I will purchase.